When you think of the Alaskan Highway what comes to mind? Probably beautiful landscapes, mountains, camper vans and occasional wildlife sightings along the shoulders. 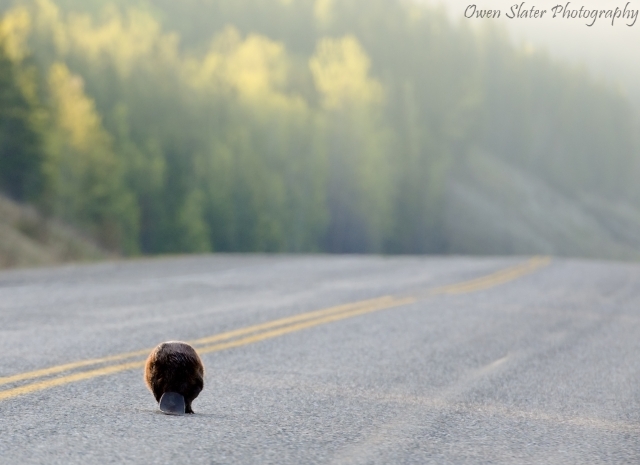 How about a feisty beaver walking down the highway? With no water in sight and no easy escape route from would be predators, the last place I expected to find a beaver was on a high elevation portion of the Alaskan highway in Northern BC. Maybe it was the lure of fresh Aspen trees off in the distance or a predetermined rendezvous with another beaver, whatever the case, this one had decided to set out down the road. As I came around the bend I had to slam on my brakes to avoid hitting it. Of course my next reaction was to pull over, grabbed my camera and start taking photos. 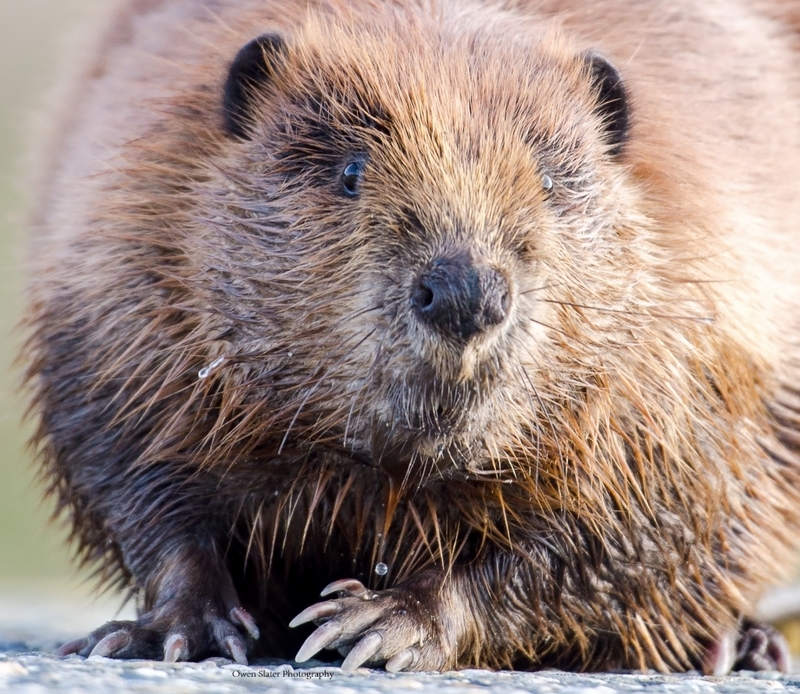 After all, who would believe me if I said I saw a beaver walking down the Alaskan Highway? After taking the above photo, I got out and tried to coax it off the road, but the plan didn’t really pan out the way I had drawn it up. Instead of leaving the road the beaver sat down and silently sized me up. It wasn’t budging and if anything it seemed more determined than before to stay put on the tarmac. After sizing me up, the beaver stood and slowly stalked towards me. Then, with an unexpected and surprising burst of speed, it lunged forward as it let out menacing hiss. I had to quickly jump back to avoid being chewed on, but a new plan came to mind. I used the beaver’s fighting spirit to lure it off the road and into the nearby ditch just as a car came around the corner. I can only imagine what they were thinking when they saw the beaver walking behind me alongside the road! Thanks Victor, glad you enjoyed it! Wow. 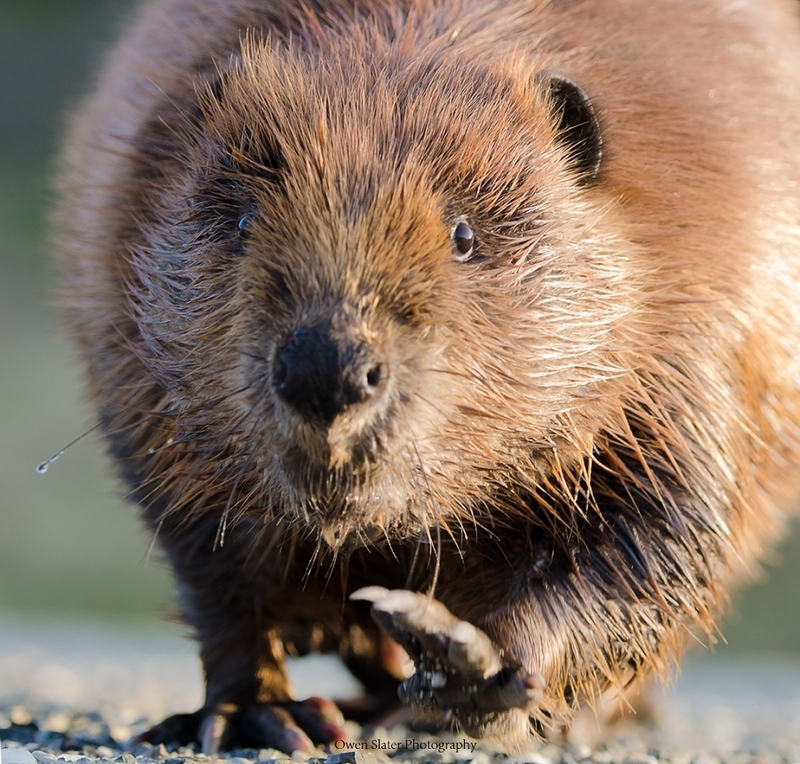 i am amazed that you were able to get the beaver off the highway by challenging him, but I am happy that you were able to do so (after you took some amazing photos). Thanks Mike. It seems beaver out of water turn to the fight response since there really isn’t anywhere to flee to. Great little story, Owen. Gutsy little fellow, but let’s hope it wasn’t planning on cutting down and dragging aspens back across the road! Thanks Dennis. Lots of attitude in that beaver! Ya, that wouldn’t have been good, but I doubt he would cut those ones down since there was no where nearby (>100 meters) to drag them.